Big Redfish on the Brain!! Greg and Donna caught some huge redfish today!! 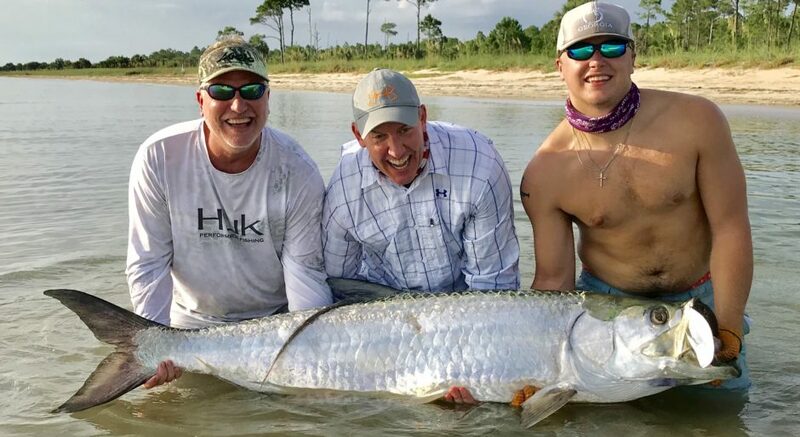 Posted in Fishing Charter Pictures	| Tagged Book A Charter, charters, fishing, fishing charter, guide, Indian Pass, Redfish	| Comments Off on Big Redfish on the Brain!! A Little Scouting Pays Off! Decided to go scout the waters for some upcoming trips and found some good fish!! Posted in Fishing Charter Pictures	| Comments Off on A Little Scouting Pays Off! We went in search of redfish today and caught the heck out them. The heavily spotted redfish had close to 60 spots! What a beautiful fish! Posted in Fishing Charter Pictures	| Tagged charters, fishing, guide, Redfish	| Comments Off on Seeing Red and Spots!! Nice Catch for these two from the Pittsburgh, PA area! Great day with my favorite Steelers fans!! Thanks Carlo and Coleen!! They caught black drum, redfish and speckled trout today!!! Posted in Fishing Charter Pictures	| Comments Off on Nice Catch for these two from the Pittsburgh, PA area! Fun with Reds and Trout! Had a blast with Johnny, KC, Karen and Jada today! We caught several trout, a few reds and a nice black drum!! Posted in Fishing Charter Pictures	| Comments Off on Fun with Reds and Trout!